Throw A Party With Meri Meri! We're sure you're all partied out after your New Years Celebrations, but it's always good to have something to look forward to and throw a birthday bash to proud of! So whether you've organised a unicorn themed party for your child, or a grown up candy coloured celebration for an engagement, Meri Meri party supplies bring you unique party decorations and supplies that will help you put the perfect finishing touches to that ever so special occasion. Meri Meri will help to add that extra sparkle, a dash of magic and ounce of happiness when you need it most! No party is complete without blankets of balloons. They'll add a bit of lift and sparkle to any occasion. 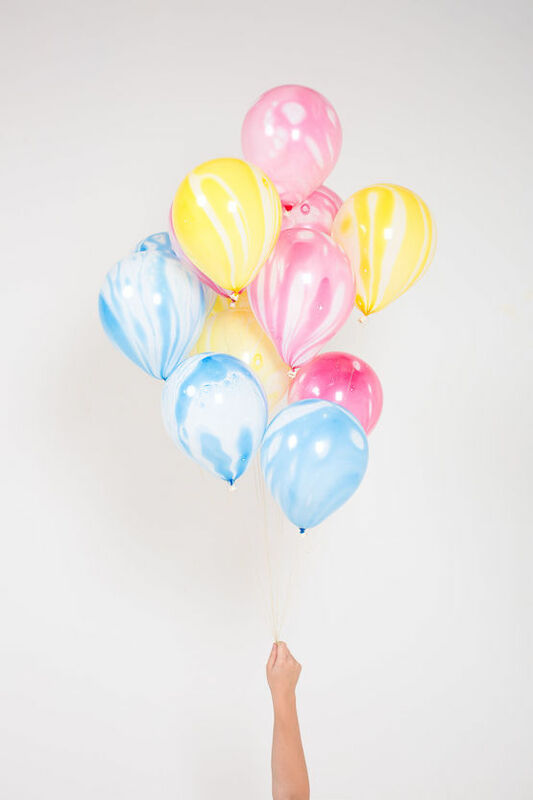 Bored of the same old coloured balloons? 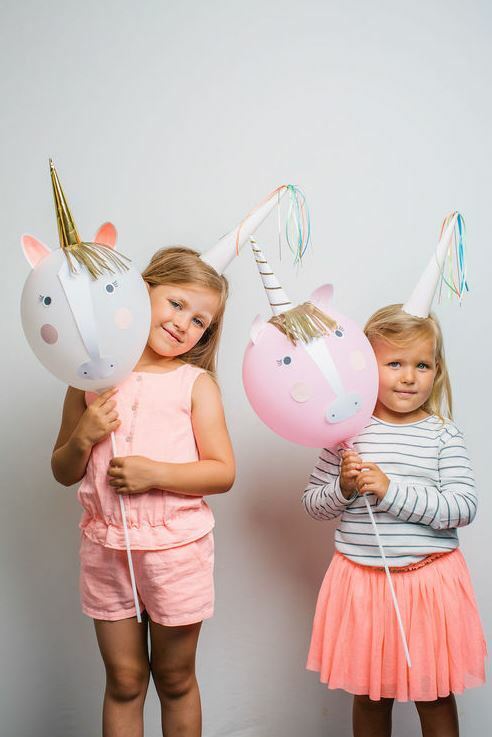 Opt for the Meri Meri Unicorn Balloon Kit that would be fit for any unicorn themed bash. If unicorns aren't your thing, the lilac marble balloons are perfect for adding a splash of bold colour to your decorations. They come with the most adorable gold, sparkly ties so your guests can take them home after the party. Don't houses seem a little bare once the Christmas decorations are taken down? Fill that blank space up afterwards with a pretty garland, regardless to whether you have a party lined up or not! Make your own by stringing up one of the cords and adding gold or silver glitter bunting letters. If you don't fancy creating your own, there are plenty of gorgeous premade garlands that are suitable for plenty of occasions. The Unicorn Party Garland is a must have for all unicorn lovers, it's filled with sparkles, stars and pretty pastel colours, promising to be a super sweet addition to any wall. 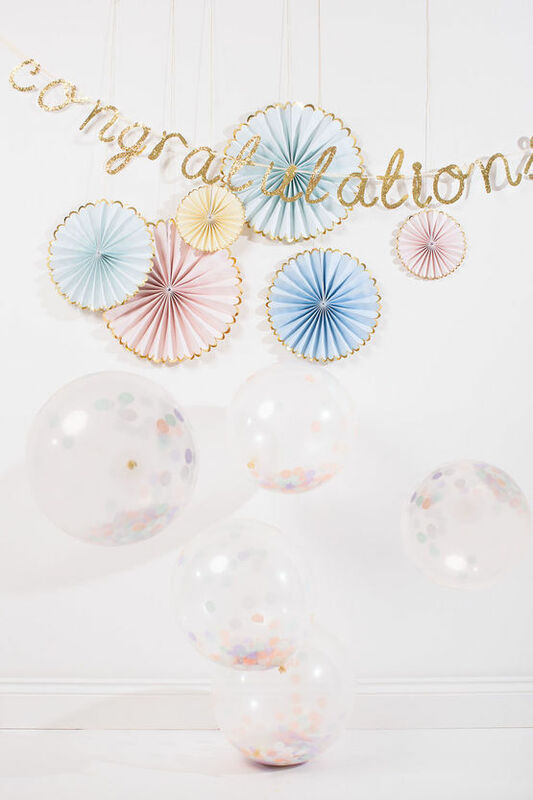 Whether you're celebrating the birth of a new baby or congratulating someone on a new job, the Meri Meri Congratulations Garland displays the message perfectly. Decorated with chunky gold glitter, it's sure to dazzle and shower the day in happiness (and a lot of glitter!). 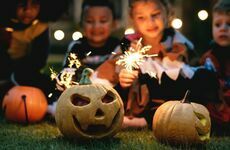 Parties are synonymous with picky finger food and lots of treats! Pair them with some adorable party tableware for a fuss free and gorgeous finish to any party table. Let your guests drink up in style with the Zap! 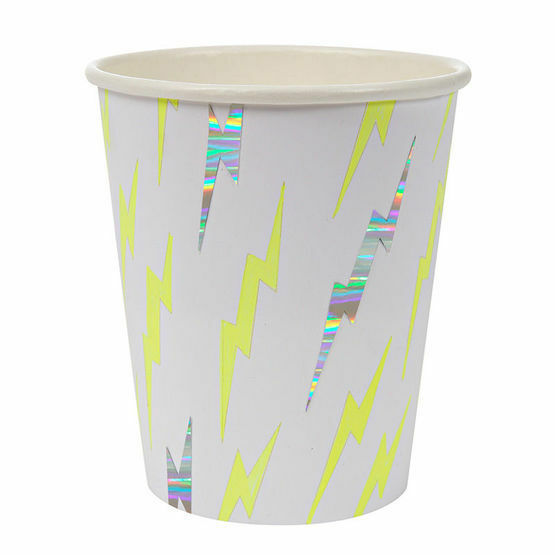 Party cups, they look super cool and they'll add an electrifying effect to any party. Dinner's served! 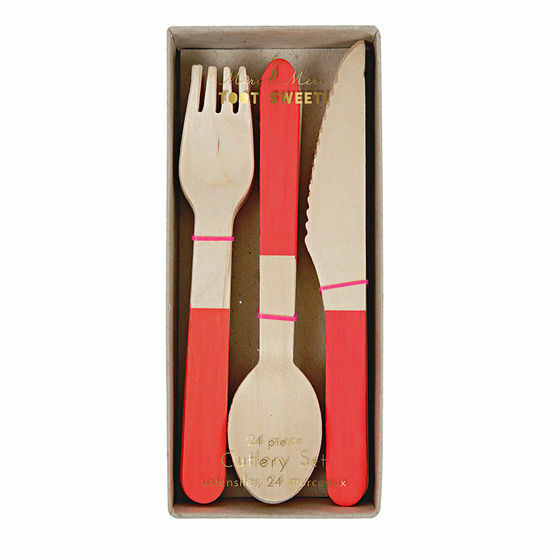 Keep the party stress to a minimum with this adorable wooden cutlery set. The disposable cutlery has been crafted from birch wood and decorated with red painted handles for a really rustic look. They're a lot more stylish and sturdier than plastic cutlery, and you don't need to worry about washing up afterwards! 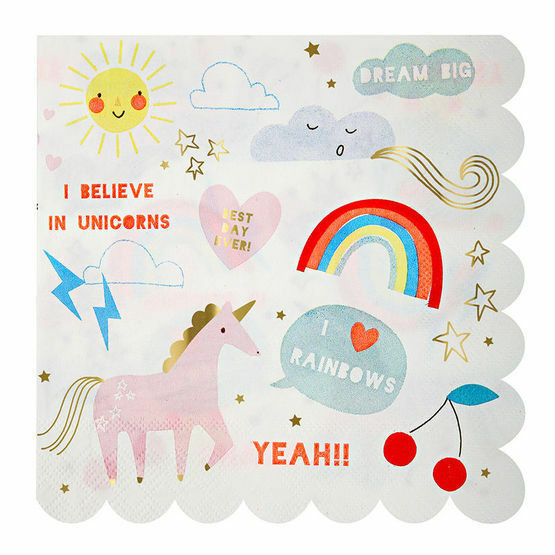 Once the eating is done, keep those happy faces and jazz hands clean with these magical Rainbow & Unicorn Party Large Napkins. They're filled with fun illustrations, embellished with shiny gold foil and they have a pretty scallop border. The pack contains 16 napkins, perfect for a little get together or a big Birthday bash! Send your guests home with a party bag to be jealous of by putting the little goodies in a stylish, and super fun party bag from Meri Meri. Depending on the theme of the party, we have lots of different styles. The Zap! 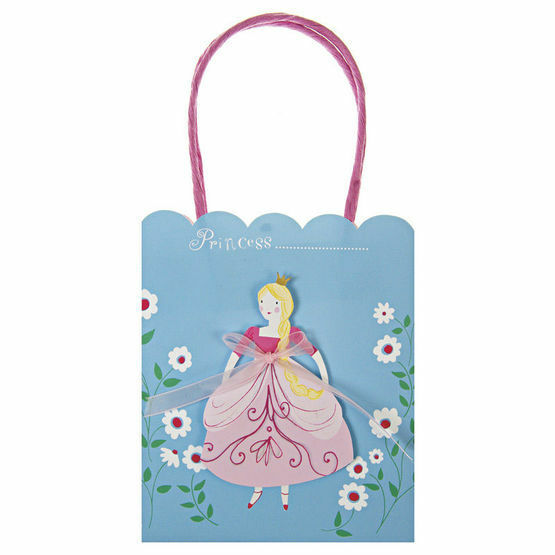 Party Bags are ideal for superhero parties, and the I'm a Princess Party Bags are the perfect choice for little princesses! 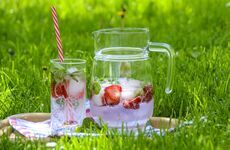 You don't even need to have a party lined up to enjoy these fun pieces from Meri Meri, they're perfect for any occasion, whether that's a date night picnic on the floor or a vast celebration with your friends and family! Don't forget to check out our full range of Meri Meri party accessories. Catch up with our latest news and product releases on our Facebook and Twitter pages.